Root Cause: Why Exactly Are We Facing This Problem? Solution Method x: Let’s Just Restart Our iPhone or iPad, Shall We? Solution Method 2: Help! Maybe We Can Reset Netflix? Solution Method 3: All Is Lost! Can We Just Uninstall and Reinstall the App? 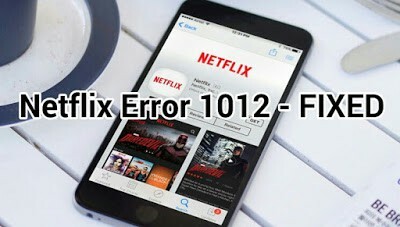 Netflix actually has their own handy guide on how to fix Netflix Error 1012 – however, it’s not tailored to iPhone or iPad users! What a shame and a waste, should you need very specific directions, right? Fear not! We here at Error Codes Pro have you and your needs in mind – and we’re here to help! 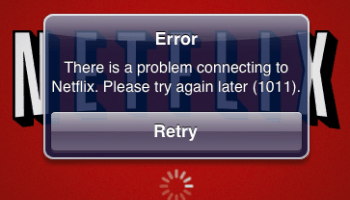 Lo and behold, this guide on Netflix Error 1012 on iPhone & iPad Fixed! First and foremost, I must advise you: don’t panic! You shouldn’t ever panic or feel stressed when you’re faced with a technological problem, and especially one that gives you a specific error. Because an error message (along with a very specific code, as in this case) allows a savvy internet user like yourself to do a Search Engine query and find a guide as helpful – and thorough – as this! Pro Tip: Should none of these solutions prove to ward off your errors, please see the Conclusion section which should provide you useful insights on what your next Search Engine queries might look like. The very first step of this process is to first identify the actual reason behind something that’s going wrong. We can’t truly be confident we’ve fixed something unless we’re fully aware of what caused it to happen in the first place – anything short of that is guesswork, or at best patching a hole that may eventually explode a dam. 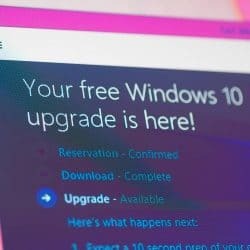 That is to say – some companies will teach their tech support employees (and believe me, I’ve worked for giants like Microsoft and BlackBerry in tech support – so I know) that the very first step of the troubleshooting process is, actually, to deal with and try to calm the personal and emotional trouble of the people you’re dealing with. Avoiding emotional stress while helping to troubleshoot a problem is exactly why you’ll find the words ‘don’t panic’ somewhere near the beginning of most (if not, all) of my troubleshooting articles! 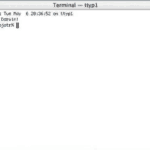 So – for error 1012, what exactly happened? 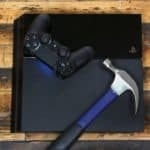 Most likely – your internet is terrible and Netflix can’t get a connection! Moreover, this error can happen when there’s a problem with your account information on your device, or (more ominously) an issue with the Netflix application itself. Let’s look at ways to fix these varied possible causes! If you’re getting this error message and you’re currently on your iPhone or iPad (with data connectivity, ie. a SIM card and plan) and you’re not currently on Wi-Fi, then please, connect to Wi-Fi and retry. Also, try not using Netflix when you’re not connected to Wi-Fi – as 1 hour of Hi-Def Netflix streaming takes about 1GB of download, straight off your data plan. That adds up quickly – and you’ll see it on your bill should you exceed your monthly maximum. Ouch! If that’s not the case, or doesn’t help, try a different Wi-Fi. You may have two different connections in your home available – should your device support both bandwidths your router may be giving out – so give the ‘(your network name) 5’ connection a try if you weren’t already on it, or vice versa. On another, related note – try moving your iPhone or iPad nearer to the source of your Wi-Fi connection. Try cutting the number of walls or doors that your connection has to get through down. Finally, try standing immediately next to the router. Lastly, try another Wi-Fi altogether – go to a friend’s house, or work, or ask for a neighbor’s Wi-Fi password (ever so politely), and see if that helps. When in doubt, try a brand new connection that’s not the same Internet Service Provider! 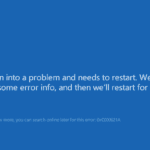 ALSO READ: WOW Error 132 Fatal Exception Fix! This relates to 2, isn’t a good enough point to be ‘3’ all on it’s own, and is still worth mentioning – so the 2.5th point is: try resetting your router, because resetting it does all sorts of wonderful internet magic and all of a sudden you may well find yourself with a better connection. If all else fails – try a computer, or another iOS / Android / Whatever device. If Netflix works on this other device, read on and we’ll try to sort out why your iOS device is behaving badly – as there are other possible reasons for this error! Did that not work? Read on! Head on down and find the listing for Netflix, then tap it with your finger. Find ‘Reset,’ and toggle it on (press the button so it’s turned on). Hit the physical Home button on the bottom of your iPhone or iPad. Swipe up for the App and that’ll close your current open ‘session’ with that App (and free up some memory – it’s good to close Apps when you’re done with them). You can actually hear me ramble on a lot about memory and RAM in this rather unrelated article about Android Play Store errors. 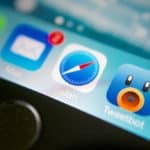 Press Home button, on the bottom of your device, twice again – which should bring you back (coincidence? I think not!) to your Home screen. 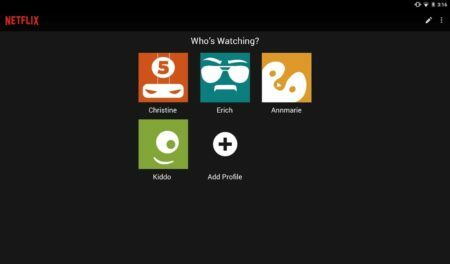 You’ll need to sign in using your Netflix credentials. Try streaming a show or movie. However, if not, read on…. Why yes, absolutely we can! On your Home screen, find Netflix. Touch and hold Netflix until it shakes, terrified of what may lay in store. Tap the X on Netflix, and then Delete. Follow this by hitting Home to get out of ‘deletion’ mode (and stop scaring your other Apps!). Check the App store for the free Netflix App from Netflix, Inc. Beware of strange ‘pretend’ Netflixes that could harm you (ie. by stealing your Netflix login info). Tap the icon to install, and be prepared to enter your iTunes info to approve the download. Now return back to your Home screen (if you still have your iOS device, that is) and press to open Netflix. Enter login credentials and Login. First, I’d like to congratulate those that found this article and managed to get their Netflix Error 1012 On iPhone & iPad Fixed. 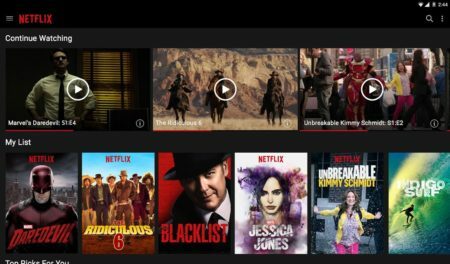 Is there an outdated and unsigned, yet still official Netflix App you can try? I’m unsure – as I’m not an iOS user – but can you just try Netflix in Safari (or – hint – Chrome on your iOS device)? Good luck! Happy troubleshooting, padawan! Hey – you’ve read this far, if you enjoy what you’ve read (or maybe you have other specific error messages giving you woes) try searching for error messages in the top-right, and we’ll probably have them covered on Error Codes Pro, or – alternatively – click on my name, as the author, at the top of this article to read more troubleshooting processes explained. They’re explained, I hope: in depth, in detail, and – hopefully – alleviating the stress of the given moment. This site is meant to be informative and help people through some of the most common, most frustrating, and the most obscure errors they come across – so do think of us the next time you, a friend or anyone has an error that’s proving troubling! Ever wondered what it would be like to know more about the fancy and weird ways in which the internet has evolved? You can find out more right here on Error Codes Pro with our Ultimate HTTP Error Code List!